The advertisement features a close-up shot of the quarterback's face and reads, "Believe in something". He stirred national debate by taking a knee while the anthem was played before games during the 2016 season, to draw attention to police killings of African Americans and other issues. "We believe Colin is one of the most inspirational athletes of this generation, who has leveraged the power of sport to help move the world forward", said Gino Fisanotti, Nike's vice president of brand for North America. "We wanted to energize its meaning and introduce "Just Do It" to a new generation of athletes", Fisanotti told ESPN. The quarterback has been a free agent since he opted out of his contract with the San Francisco 49ers after the 2016 season and, so far, no other team has extended him an offer. 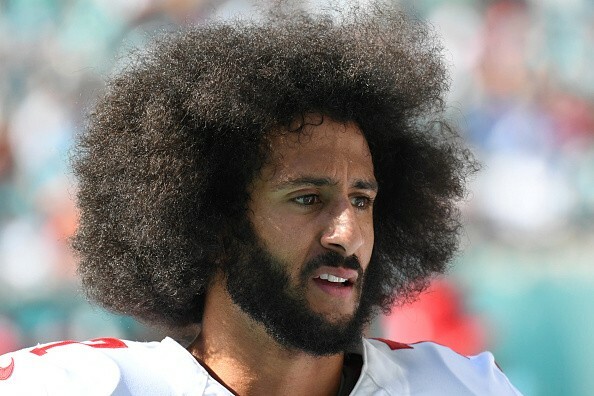 According to ESPN's Darren Rovell, the ad is part of a campaign that will make Kaepernick one of the faces of the company's legendary "Just Do It" campaign, which turns 30 this year. Under the new guidelines announced in May, players and others associated with the National Football League who are on the sidelines must stand during the playing of the Star Spangled Banner, while those who choose not to stand must remain in the locker room. That case cleared a hurdle last week, when the league's request to dismiss the grievance was rejected. Today, Nike unveiled its new black-and-white ad featuring Kaepernick. He is now involved in a collusion case against the league, claiming that his protest is keeping teams from signing him.